How does a Variable Geometry Turbocharger work? Variable geometry is a fancy term for “extra moving parts.” Unless you fly aircrafts, variable geometry will always refer to certain turbochargers (VGTs, or Variable Geometry Turbochargers). VGTs have turbines with vanes that move depending on the needs of the engine they’re attached to. How the vanes move depends on the VGT design; some manufacturers design them to pivot, and some to slide. Early VGTs regulated the parts’ positions using pressure or vacuum actuators, but most current designs use electronic control units to determine the positions of the parts. When vane positions are altered, the geometry of the turbine housing changes. Geometry changes affect the speed of the spinning turbine, allowing it to be optimized for engine performance. When the engine speed is low, the space in the turbo is expanding, decreasing the speed of the air flowing through the turbine. When the engine speed is high, the space in the turbo is restricted, increasing the speed of the air flowing through the turbine. It is important to remember that VGTs change the speed of the turbine, and not the amount of exhaust air. The amount of exhaust air never changes. VGTs were created to work with EGR systems to control emissions, and are essential for Diesel Particulate Filter (DPF) regeneration. During DPF regeneration, the air speed needs to be completely controlled to get the temperature of the exhaust air high enough to burn off the accumulated matter on the filter. VGTs have a much higher versatility than fixed-geometry turbochargers. In general, VGTs help deliver more power to the engine by increasing torque and creating the optimum geometry for an engine’s current speed. Especially at low speeds, VGTs can impell EGR flow and greatly reduce turbo lag. Optimum geometry also fosters increased efficiency, and everyone wants to get more for less. Turbo technology is always increasing, meaning that as advances in aerodynamics occur, VGTs will only get better. As far function goes, VGT is the ideal way to go, right? Well… in theory. VGTs are much better for lower speeds, but some have been known to run out of air at higher speeds. In addition, as with every new technology that comes about, there are going to be the typical drawbacks. VGTs are generally much more expensive than similar turbos without the variability. And while they’re better than standard turbos when working, they’re more likely to fail. As everyone who’s ever worked with engines knows, more moving parts mean there are more failure points and opportunities for things to break. The decision on whether or not to get an engine with VGT depends on what you will use your vehicle for and how much you can spend. Ultimately, we just present the facts and the decision to go VGT or not is up to you and your vehicle. There may not even be options for the engine you need. Once you have an engine, you cannot convert a VGT engine to a non-VGT engine. Some conversion kits do exist for particular engines, but it is illegal to actually convert them and authorized repair shops will refuse to work on your engine after the conversion. 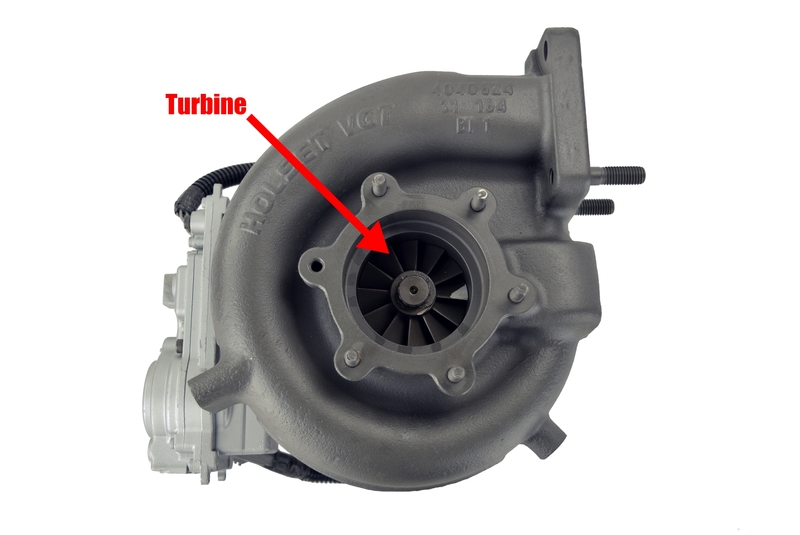 For more turbo questions, see our blog on common turbo problems and failures here. Highway and Heavy Parts is fully committed to the success of our customers. If you have any outstanding questions about Variable Geometry, or general questions you need answered, please give us a call at (844) 215-3406.